Iceland’s WOW air hardly needs an introduction. The Engine does PPC for WOW air and the results have been fantastic. The Engine‘s approach was comprised of six key streams of activity. First we established key phrases across a multilingual platform, restructured current activity to streamline account management & budgets and created branding campaigns to capture early funnel users and support search campaigns. We then proceeded to develop bid strategies to tackle % profit margins, introduced second-tier search engines and setup remarketing campaigns with different ad exchanges to increase reach. 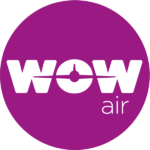 It’s safe to say that all goals set in cooperation with WOW air were met, and then some! Although we weren’t able to show actual transaction or revenue numbers, we included the number of visits the campaigns returned for perspective.